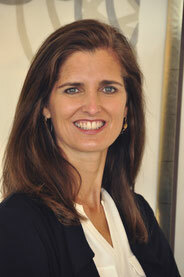 Ann Shippy, MD, PA - Website of shippymd! Dr. Shippy practices functional medicine, a method that addresses the underlying causes of disease, not simply treating the symptoms. She is Board Certified in Internal Medicine and Functional Medicine. Her unique approach combines the art and science of healing to address the care of the whole person. She integrates conventional and complementary therapies to promote optimal health and to prevent and treat disease by addressing contributing factors. Dr. Shippy is dedicated to providing proactive and personalized medicine for her patients. "The primary drivers of the chronic disease epidemic are the complex daily interactions among an individual's genetics, environment, and lifestyle choices. Functional medicine addresses these underlying causes of disease and equips healthcare practitioners to help their patients manage this complex, interconnected web."